The Bulgarian Black sea coast is about 400 kilometers long with large and small resorts. Sun-seekers have a wealth of choices for accommodation. Most of the hotels are privately run and maintain Western standards of health and safety. Among the most popular resorts is the northern Black Sea coast resort of Golden Sands, which has 61 hotels, many recently fully renovated. The resort, 17 km north of Varna, is an attractive combination of a calm and warm sea, forested slopes near the beach, mineral springs and a tempting choice of good quality restaurants. The area is famous for the purest sand on the Black Sea coast. Also on the northern Black Sea coast, very close to Golden Sands, Riviera Holiday Club has six hotels located on the beach in a nice and quite park. Sunny Day tourist complex, 10 km north of Varna, has four hotels ranging from five stars to two. The resort also has two well-equipped spa health centres, with treatments from mud baths to laser therapy to aromatherapy available. Thirty km from Varna, Albena has a total of 14 900 beds in 43 hotels, ranging from two to four stars. Nestled in a picturesque bay, the resort has a temperate climate and boasts a wide sandy beach. Water sports, a children's amusement park, and many fine restaurants complete the picture. On the southern Black Sea coast, Sunny Beach has more than 100 hotels, 2 campsites, over 130 restaurants, taverns with folklore shows, bars with floor shows, night clubs, casino, discos and cafes. Sozopol, about 30 km south of Bourgas, has a smaller range of hotels, with about 1,800 beds between them. Sozopol is one of the oldest of Bulgaria's coastal towns. It is founded in 610 BC by Miletian Greeks. Today, this charming place is a popular tourist resort best known for its casual ambience, sandy beaches and distinctive nineteenth-century stone and wood houses. Nessebur, named a UNESCO World Cultural Heritage site in 1983, draws about a million visitors annually, and its narrow, historically venerable streets, are often choked in mid-summer with tourists sampling its culinary delights and shopping for memorabilia. The town, which dates back about 9,000 years and is famed for its beautiful medieval churches, has a competitive range of hotels and private accommodation. .
Panama Much More Than Palm Trees Swaying in the Tropical Breeze - Panama. Top Ten Most Searched States for Online TimeShares in - Top Ten Most Searched States for Online TimeShares in 2003 January 13, 2004, Virginia Beach, Va. The Best Beach Resorts in Bulgaria - The Bulgarian Black sea coast is about 400 kilometers long with large and small resorts. How to Travel for Free by Leading or Promoting Tours - How to Travel for Free by Leading or Promoting Tours Whether you're 16 or 60, you CAN travel just about anywhere in the world for free -- and even with a nice stash of cash in your pocket -- by telling like-minded people about a trip and convincing. Home to the Commonwealth the Games comes to Melbourne - Australia celebrates the arrival of the Commonwealth Games. 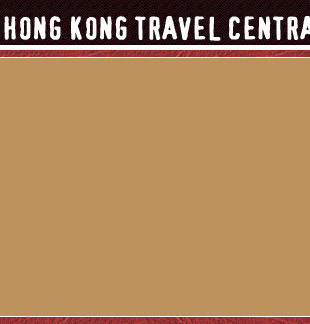 ©2019 Hong Kong Travel Central. All rights reserved.